Waco’s once thriving Greek community began when a London company sent a Greek cotton merchant to the city in order to purchase cotton for English mills, and soon after he chose to settle in Waco. In the early 1900s Waco’s first Greek family opened a restaurant which became so successful that many Greek families chose to follow in their footsteps and make the Heart of Texas their new home. 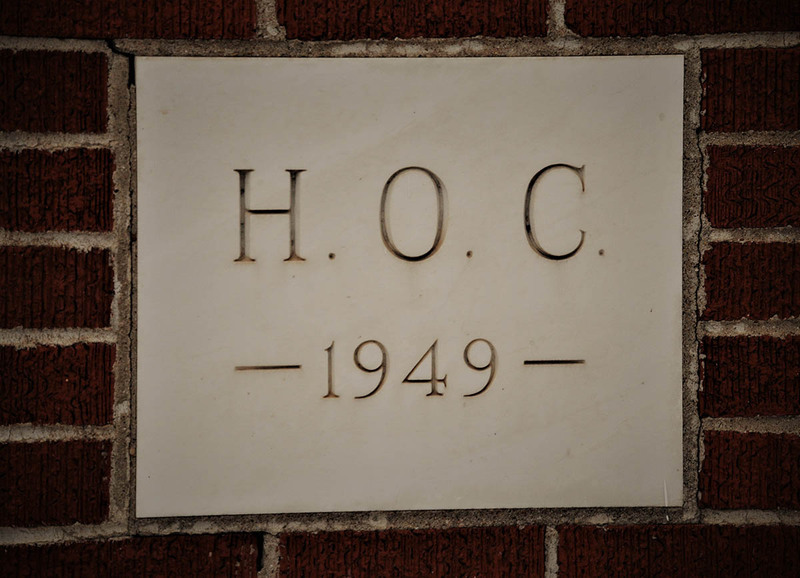 In 1926, the burgeoning community founded the Hellenic Orthodox Community of Waco and adopted a local Episcopal church as their meeting grounds, which soon became the hub of Hellenic traditions and the Orthodox faith. Eventually they began discussing their need and desire for a permanent place of worship and celebration. 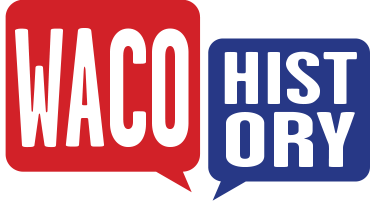 Michael Colias—a Greek immigrant from Sparta who came to Waco in the early twentieth century—convinced the American Hellenic Educational Progressive Association (AHEPA) to hold their next conference in Waco. AHEPA formed in response to early twentieth century bigotry and racism with the goal of helping Greeks assimilate into American society while focusing on promoting Hellenism, philanthropy, education, civic responsibly and family in the community. 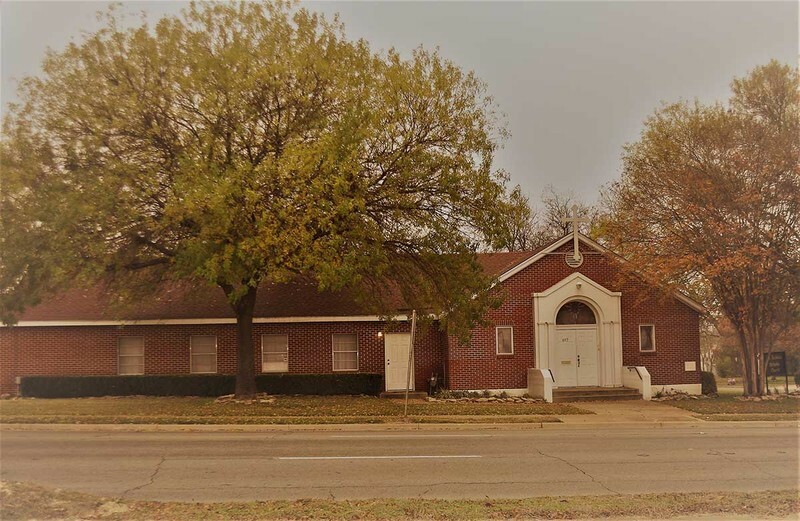 The fraternal organization donated all the profits from the Waco convention to the construction of a new church for the Hellenic Orthodox Community which, combined with money from other fundraisers, was enough to begin construction of a building at 617 North Seventeenth Street. After construction finished in 1949, the new building served as both a church and a community hall for events, until the addition of a fellowship hall next door to the church in 1960. It was not until 1963 that St. Nicholas garnered a full-time priest, Father Constantinides, who came to Waco from South America. He only served St. Nicholas for two years before being reassigned to another church, and his departure signaled the start of a tumultuous twenty-five years for the church’s leadership. Father Makarios Hajiparaskevas took over as the next full-time priest but left soon after for a monastery in Jerusalem. Due to the decreasing Greek population in Waco, the community decided not to pursue another full-time priest and instead relied upon a part-time visiting clergy between 1969 and 1988. In 1988, Father Jeremiah initiated a program that brought in a priest that St. Nicholas shared with a Greek Orthodox church in Wichita Falls, with the two congregations splitting the cost, with some help from the archdiocese. Like his predecessors, Fr. Jeremiah received a new assignment. Father Evangelos Pepps replaced him, but he too was also reassigned in 1991. However, before departing, Fr. Pepps—with the approving vote of the church community—helped stimulate growth in the church by conducting the Liturgy in both English and Greek as opposed to only Greek, which encouraged many non-Greek families to join. Finally, in 1991, St. Nicholas again welcomed a full-time priest, Father Tsitsilianos, more affectionately known as Father Ted. He has been with the church ever since and is considered a respected spiritual leader for Waco’s Greek Orthodox community. 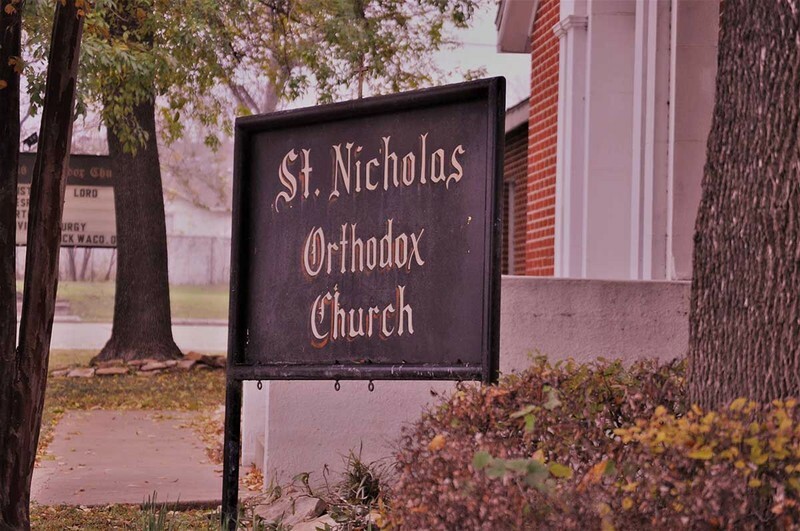 Although some concern exists about St. Nicholas’s well-being due to the ever-increasing number of young individuals, particularly from the Greek community, leaving Waco for bigger cities, the church remains an important part of the Waco community. On August 22, 2016, the congregation celebrated its annual Greek Gala which provides funds for the church’s operating budget and allows Wacoans to experience Greece without the expensive plane ticket. And for those who find themselves drawn to the Greek Orthodox faith, St. Nicholas welcomes newcomers with open arms, but it would be wise to read the “For Visitors” tab on their website for some helpful information before attending a service. Hannah Engstrom, “St. 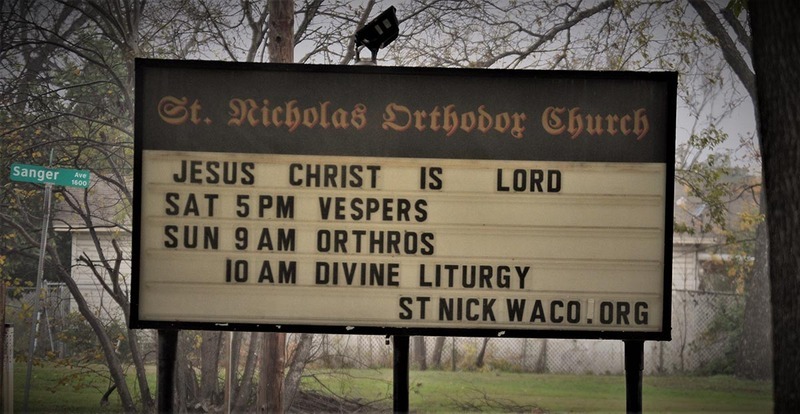 Nicholas Greek Orthodox Church,” Waco History, accessed April 19, 2019, https://wacohistory.org/items/show/163. St. Nicholas Greek Orthodox Church. http://www.stnickwaco.org/.